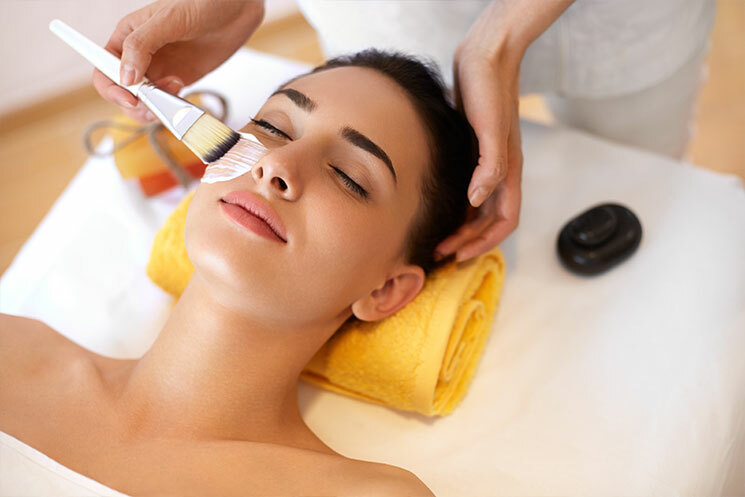 A spa facial does more than just pamper your face—it cleanses, restores, and rejuvenates your skin and spirit. At Salon Sleek, our professional therapists are certified in both the Dermalogica and CACI facial methods. Each client is different so each facial is completely customized to your complexion and beauty objectives. From treating acne to reversing signs of aging, our team knows the techniques and products to suit your needs. Cleanse your skin. Your face is exposed to a lot of stressors throughout the day. Everything from facial products, makeup, environmental toxins, sun damage etc. builds up and takes a toll on your skin. A facial gently strips away these stressors and restores your skin to its purest state. Remove impurities. Everyone struggles with one skin condition or another, such as acne, blackheads, dryness, and redness. The therapist will use products specifically designed to alleviate your condition and balance your complexion. Improve your health. Your face is an integral part of your body and needs the same care as your back or legs. During your facial, the therapist will massage your face which reduces inflammation, improves circulation, and relaxes your mind. Declutter your mind. During your facial, your therapist will encourage you to breathe deeply and relax. We hold a lot of tension in our face and it is important to lay back and let those muscles release. Letting your mind wander and slip into a sedative state can have the same physical benefits as a full body massage. As an enhancement to your facial, we can add aromatherapy and infuse calming scents, derived from nature, to elevate your treatment and add sensory relief. These scents can deepen your relaxation, soothe mental stress, and naturally improve your mood. Want to experience the benefits of a spa facial for yourself? Call Salon Sleek today and make your appointment!